Canyon Road in Santa Fe, NM is a fabulous place to wander. I'm a fan of wandering, by the way, especially in a place where I can find inspiring things to photograph at every turn. 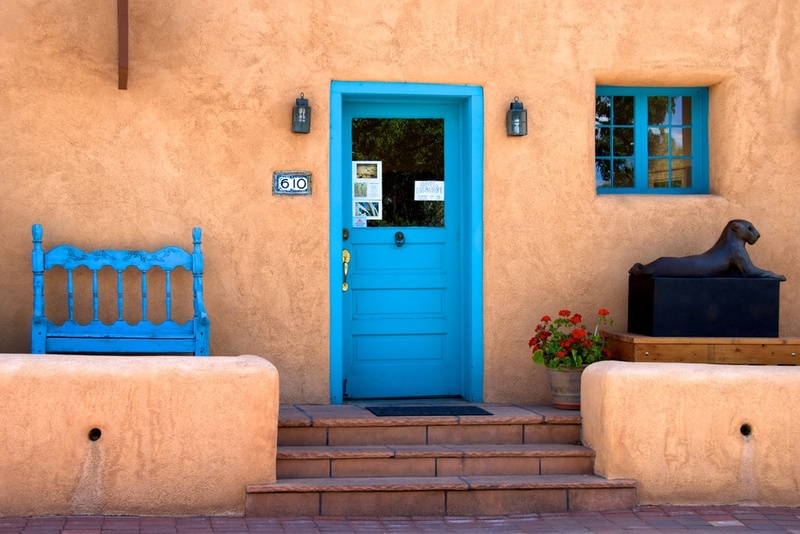 If you aren't familiar with Canyon Road, it's the art gallery district of Santa Fe. The entire street is lined with art galleries and studios, along with a sprinkling of cafes and restaurants. It's a wonderful place to spend an afternoon - or a whole day! Bring your camera! You can literally find inspiring architectural shots at every turn, as well as a lot of cool doors and gates - another favorite subject of mine. More soon from this lovely place!